If you are in the Eagle River area, and looking for a guide, I would highly recommend Dwain! 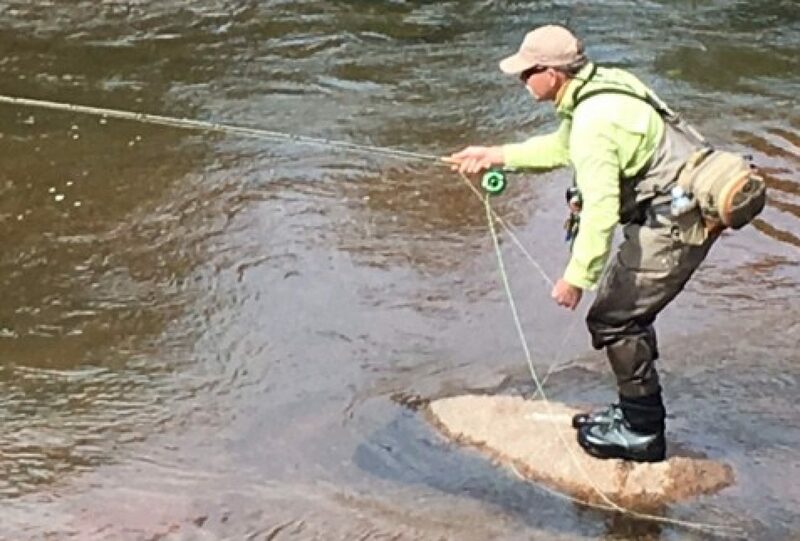 I was able to fish with Dwain last year, on the Eagle River, and it was a real case of guiding excellence. “Now put your fly over here”, he would say, and moments later fish on. “OK, now put your fly over there”, he would say, and moments later fish on. But not only that, landing probably 20 plus fish, Dwain is an expert at teaching through demonstration and explanation. I onslaught-ed him with I don’t know how many questions during our trip. I had read his book before our outing, and he, without even a sigh, answer me as polite and concise as he could. For some reason I think Dwain would have done just fine even if he didn’t have a beer and bagel. Thank you Dwain for all you do towards the sport and to those of us you guide. Thanks for the kind words. Hope you’ve been out fishing! Take care my friend.